In this report, we covers the present scenario (with the base year being 2017) and the growth prospects of global Media Based Water Filters market for 2018–2023.The process of filtration involves the flow of water through a granular bed, of sand or another suitable media, at a low speed. The media retains most solid matter while permitting the water to pass. The process of filtration is usually repeated to ensure adequate removal of unwanted particles in the water. This type of slow filtration over a granular bed is generally known as slow sand filtration. It is the oldest method of filtration but still widely used in municipal water treatment plants today. More modern filtration systems use carbon as the main constituent material of the filter. This carbon is compressed into a solid block form, as opposed to the more loosely structured, granular, sand filters. Such filters often include other media substances, in addition to the compressed, solid carbon. This type of water filter is known as a multimedia filter. These filters clean water through both physical and chemical processes. Physically, they perform the same function as slow sand filters, blocking the passage of unwanted materials with molecular structures that are larger than water. Chemically, the carbon or multimedia filters perform an added filtration function. Through the process of adsorption, the atomic charge of the carbon and other media encourages unwanted particles to abandon their bond with the water and chemically attach to the media. The water then passes through the filter, cleansed of undesirable materials. The addition of extra media to the standard filter constitution of sand or carbon allows for more particles to chemically bond to the media, resulting in greater filter performance and efficiency. To study and analyze the global Media Based Water Filters consumption (value & volume) by key regions/countries, product type and application, history data from 2013 to 2017, and forecast to 2023. To understand the structure of Media Based Water Filters market by identifying its various subsegments. Focuses on the key global Media Based Water Filters manufacturers, to define, describe and analyze the sales volume, value, market share, market competition landscape, SWOT analysis and development plans in next few years. To project the consumption of Media Based Water Filters submarkets, with respect to key regions (along with their respective key countries). What will the Media Based Water Filters Consumption Market? What are the key factors the Media Based Water Filters Consumption Market? What are the key market trends in Media Based Water Filters Consumption Market? improve pasting the growth of the Media Based Water Filters Consumption Market? What are the challenges to Global Media Based Water Filters Consumption Market? 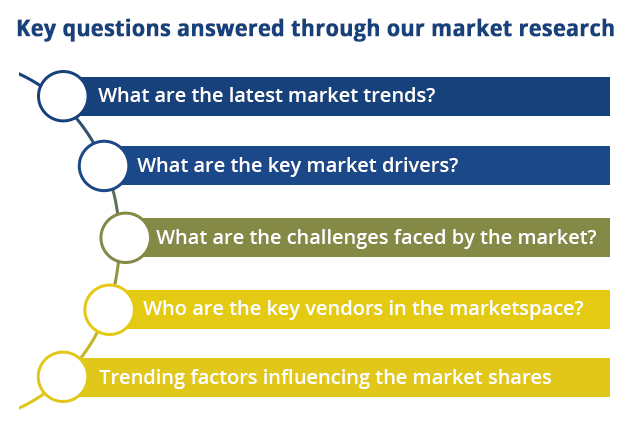 What are the market opportunities and threats faced by the vendors in the Global Media Based Water Filters Consumption Market? What are the key outcomes of the five forces analysis of Media Based Water Filters Consumption Market?